The incredible tenth book in the international best-selling Left Behind series is now available in paperback. The Great Tribulation unfolds as the forces of evil and the armies of God prepare for mankind's ultimate battle. Millions of Christians are protected by God as the anger of the Antichrist, Nicolae Carpathia, burns against them. Over 2.5 million copies sold in hardcover. 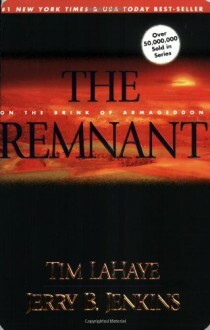 The Remnant is full of action and will keep you turning the pages to find out what is going to happen next. I enjoyed this book for all it's action and suspense, but found it not to be as good as the earlier books in the series. More of the adventures of the righteous in the days after the rapture. Competently written fantasy that is meant to be taken literally. I couldn't bring myself to force down another of these, so stopped here.